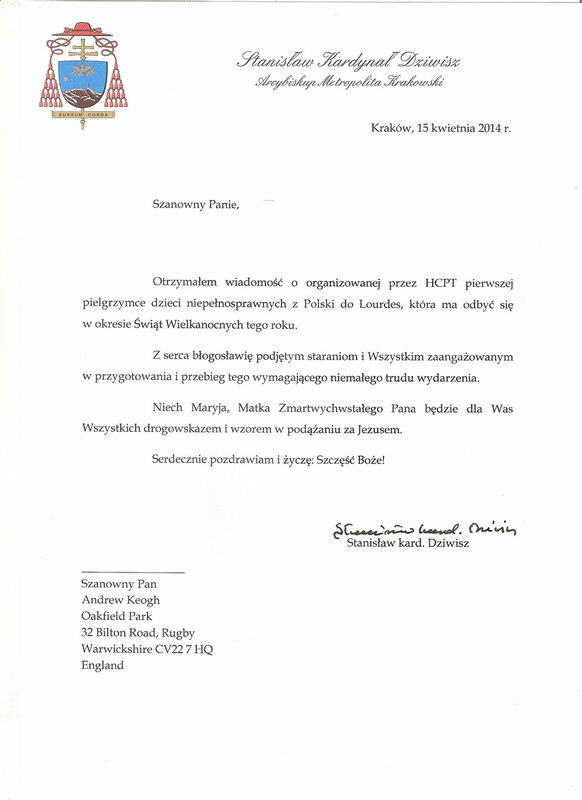 We are delighted to have the support the Krakow City’s Mayor who became our Honorary Patron in 2,016. In 2016, 12 charges of Krakow Social Welfare Home on the street. Łanowej set off on Holy Saturday, together with the foundation HCPT Poland, on a weekly pilgrimage, which brightened their lives. France was represented by Krakow, Malopolska and the World Youth Days. 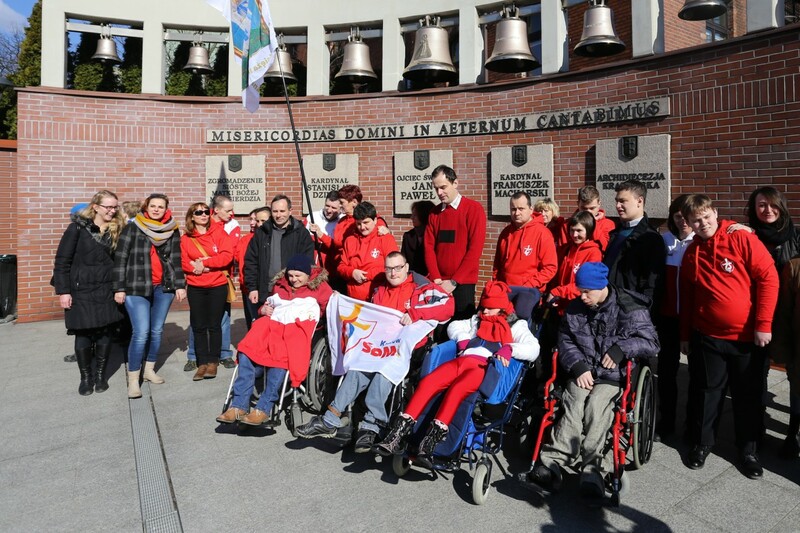 On Holy Thursday, Bishop Damian Muskus blessed pilgrims who were travelling to Lourdes, outside the Lagiewniki Sanctuary of Divine Mercy and encouraged them to invite the World to Krakow for SDM (the World Youth Day). Translation of the letter of May 4, 2015.